It’s the New Year, and as many of us do at this particular time of year, I am given to looking both to the past and future, and take stock of what I’ve done, and what yet remains to do. Writers, specifically those who deal in what we might term speculative fiction, are often fascinated with these notions of looking ahead, or looking back. Whether within the genre of science-fiction or historical fiction, the Lennoxville Library boasts several interesting series and stand-alone novels that offer us visions of re-tooled pasts, or questions about our future. 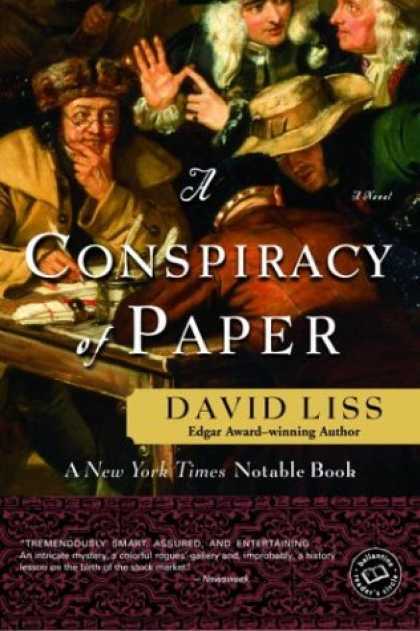 In A Conspiracy of Paper (DATE), David Liss takes us back to England in the early 1700’s, and offers us the first of a series of adventure featuring Benjamin Weaver, a former highwayman and boxer turned private investigator. As a Jew, Weaver provides an intriguing point-of-view of the seldom explored Jewish communities living in England during that period. While painted in shades of grey, Weaver still cuts a fairly heroic figure, while retaining just the right amount of edginess to give this yarn some bite. Liss does a remarkable job of painting both the Jewish background of the city, as well as the period in general, with just the right amount of detail, providing a fleshed-out canvas without overwhelming the reader with endless historical details. Like any good private eye story, the plot moves along swiftly, and reaches from the dirtiest, most sordid back alleys of early 18th Century London to the loftiest noble halls. Liss also presents a cast of fascinating secondary characters that bring life to the period, and keep the story intriguing as Weaver leads his investigation into the circumstances of his father’s supposedly accidental death. Speaking perhaps presciently to current world affairs, the investigation carries Weaver deep within the financial world of the period, leading up to the events known as the South Sea Bubble, the first ever stock-market crash. 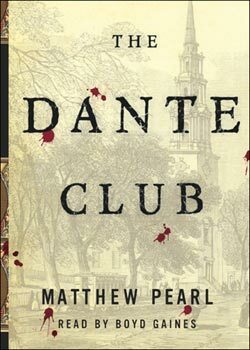 In a similar vein, Matthew Pearl’s The Dante Club (2003) offers us a detective story with a twist; the heroes of the tale are a group of real-life American poets, some of the greatest in the history of American Literature. The novel focuses on the adventures of Harry Longfellow, Oliver Wendell Holmes and James Russell Lowell as they attempt to solve a series of murders of a rather erudite nature. Pearl’s writing brings to vibrant life the wonderful Boston setting of the Civil War era, and his background as a PhD in Literature helps him create fully realized characters in his historic protagonists. The plot is satisfyingly complex and chilling, owing as much to the book’s roots in detective fiction as to its literary parentage. The murders the poets must solve seem to have been drawn out directly from Dante’s Inferno, which the poets are busy translating from the Italian. The novel is very interesting for its use of intellectuals rather than men-of-action as the protagonists, yet the subject matter and the writing never stray too far from the more satisfying elements of a crime novel. 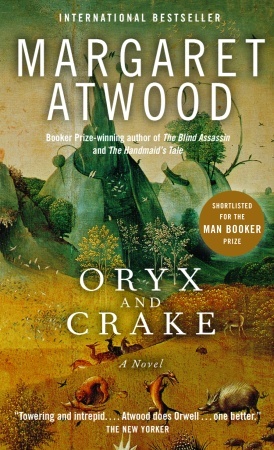 Looking ahead rather than to the past, Canadian author Margaret Atwood’s Oryx & Crake deals in speculation of a different order. In this, the first of a planned trilogy of novels taking place in a dystopian near-future, Atwood creates a double tale of pilgrimage, one where the protagonist, who calls himself Snowman, must both travel through his memories to understand how the world came to its current, savage state, and along a dangerous path to the laboratory from whence the horrors that ended the world and birthed a new one arose. Filled with Atwood’s trademark bleak humor and barbed wit, the tale asks questions that are very real about the human race’s propensity to meddle with nature. While Liss and Pearl both inject fiction into history, Atwood instead attempts to imagine how a man from the future might view his own past. The book, one of her finest, creates a world at once vivid and chilling in its probability.